Geyper Man (Spanish version) and Palitoy’s Action Man versions of the original Hasbro training tower were made in orange plastic. 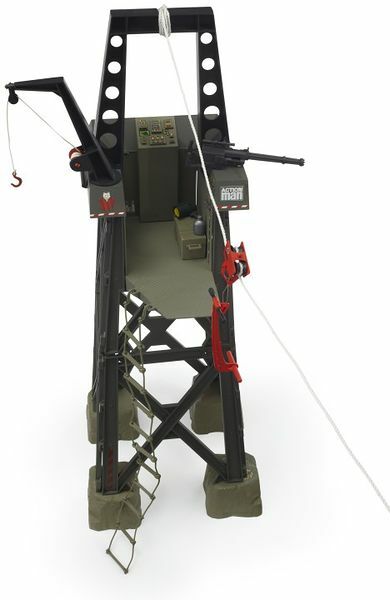 The original tower had three vertically constructed sections whereas the 1984 prototype tower (in the Wolfpack range) reduced this to two and added different, non plastic, components. painted a drab khaki over the orange parts and some pieces decorated with the WOLFPACK decals. The whole had been attached to the wooden blocks. It may be that the item had been made for display or photo graphic reasons only. 16. plastic bag containing the rest of the equipment needed to assemble and use the training tower. Much of it has been spray painted in the uniform drab khaki. 17. sample, moulded grey plastic stepped block with a hole in the top right corner; it is marked in gold lettering HI 2513/D and in moulded lettering JOHN HELLYAR & CO LTD. 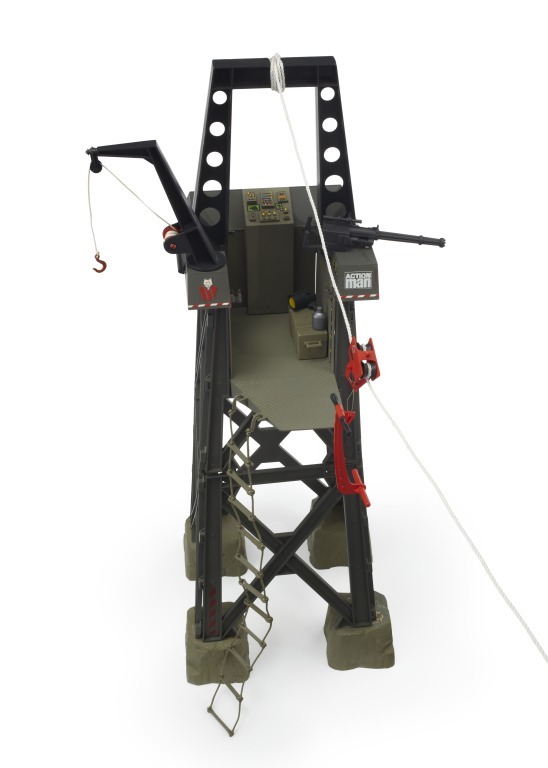 The block is contained in a plastic bag bearing a green approval label marked TRAINING TOWER / R R CARTRIDGE. 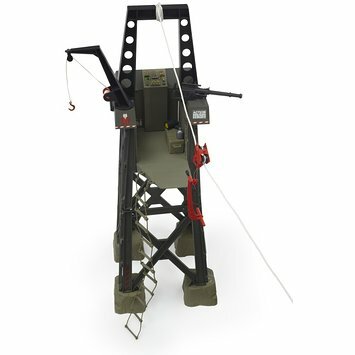 `Big Value self assembly Training Tower with Rope Ladders, hoist tackle and breeches buoy'.